Favourite posts are so repetitive but I always find myself writing one anyway. It gives me the chance to show you what I liked, and I know from reading other blogs, finding new products is always fun. Not that these goodies are anything new, quite the contrary. You may or may not have one or two of them already but if not, you are seriously missing out. If you love a bit of colour, Essie polishes can do you no wrong. I say it over and over again, Essie is my favourite nail polish brand of all time, and this polish is an amazing summer shade that goes with everything. This creamy and feisty hot pink polish stands for everything you've always wanted in a mani and pedi. As always, application is smooth and this stuff lasts ages on my nails. A must in everyone’s collection! My hair likes to play tricks on me. One day it looks amazing with no products in it. The next day however I am left with frizz all over, split ends even more noticeable, and that is when this little guy comes in action. Two generous pumps applied to my dry ends and the remaining on my palms all over is all it takes. The result is healthier and shinier looking hair, more manageable and not at all greasy. It really is a no-brainer this has great reviews online. Affordable and great! We quickly looked at this product on my recent haul (see that here), and at the time I had only used it twice so I couldn't really say if it was going to be a favourite of mine, but a few more uses followed and that was enough to decide how I felt about this face product. This covers my redness extremely well, and despite being lightweight, the coverage is amazing as is the staying power. Perfect for the summer and perfect for my holiday! Before this, I had been using the clear brow gel from Sleek which always flaked after a few hours. This, on the other hand, is my brow’s new BFF. It stays in place all day and doesn't streak, flake or clump. At first, the wand looks scary, but it gets the job done flawlessly and if you want picture-perfect looking brows, this is a must have. This godsend was wrapped beautifully inside my last Glossybox (see more on that here) and since then I have not been able to put it down. Used with Lush Lip scrub, this stuff yields lips that feel looked after and cared for. It also has no parabens, which is always a plus and it has been the one I've been reaching for ever since. My Latin roots are so well displayed in this show and I love how funny and witty it is. It reminds of Gilmore Girls, with a tad (read a lot) more drama. If you haven’t yet watched this, you will devour the first season in no time! If you loved Mel in Sabrina, the Teenage Witch, you will love her in this. She is just as funny and I love her chemistry with Joe (who is a hottie!!). Sadly it has been cancelled after 4 great seasons, but if you love clean comedy with a hint of romance, you will enjoy watching this as much as I did. Let me know what your favourites are below! Have a lovely week ahead beauties! Love this selection :) Bisous from France! That Essie nail polish is so pretty and the CC cream looks pretty darn good too! I love Essie polish and that shade looks so pretty. Wish it wasn't so dear in Oz! I really want to try the Brow Drama, glad to hear it's a great product! I really want to try the CC cream, it has such great feedback and the Garnier Serum is such a bargain! Great picks, i love that Essie nail colour. have a great monday. Produtos maravilhoso amei os favoritos tenha uma semana abençoada. I love a good serum and I want to try this Garnier one! And the CC cream of Bourjois too, cause I like the brand and every product I have from it is good, so you say it's perfect for summer, so I want it! Aw I love Melissa and Joey! I always catch it at the weekend! Totally agree about the serum - so lightweight! Essie is my all time favorite brand when it comes to nail polish. I haven't tried that mascara yet, but it looks to work well on lashes. I used to be Melissa's fan when I was a little girl, but I just haven't found the time to watch Melissa and Joey. Great post! I would like to try that brow wand. I need to find a way to make my brows looks neater. And I've briefly seen Melissa and Joey. From what I've seen it's hilarious. It's a shame it got cancelled. I've never even seen that Essie colour before! It's so pretty. Beautiful color of nail polish and I always wanted to try laquer from Essie. Also that lip balm sounds great, especially that it has no parabens. Great favourites post! I love Garnier's Ultimate Blends range, I haven't tried their serum yet though. I have also been meaning to get the Brow Drama as I know so many people that love it. Essie nail polish is so pretty! I've tried the Garnier serum and I love it too :) The Essie nail polish shade is very pretty! Status Symbol is such a beautiful bright pink! I'll have to check it out- Essie is so good! Awesome selection. Thanks for sharing. That Essie nailpolish is beautiful! I love the Maybelline brow drama gel, I think it owrk wonders, and I always use it when I can't be bothered to fill in my brows properly! I tried the Bourjois CC cream, but it did nothing to my face. I was left feeling very disappointed. And OMG, Jane the Virgin seems like a must watch. Thanks for the recommend!! I am loving how all of these products are so affordable! I've only been using BB Cream but I'm thinking of switching over to CCs just because they're much more lightweight and better for my sensitive skin; the Bourjois one you selected sounds so good! I can't believe the Garnier serum is only four pounds?! The serum I use is hella pricey and I don't see a massive improvement; looks like I know what to get next, haha. I LOVE that brow gel too! I also love your blog so glad I found it! I must try that brow mascara! It's actually just what I need and it sounds great. 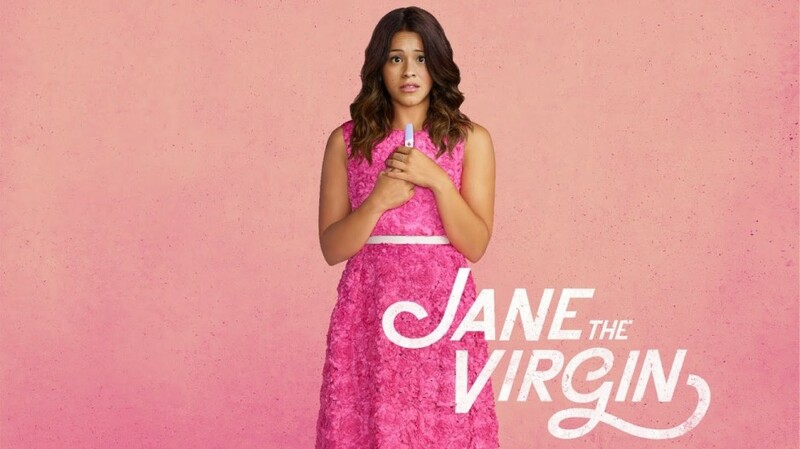 I'll probably start watching Jane the virgin soon :) I've heard a lot about it! That shade of Essie polish is right up my street, I'm going to have to buy it!! I love the CC Cream from Bourjois, it feels very lightweight but still provides a good coverage. I hated the brow gel from Maybelline though, the wand was too big for my patchy eyebrows and the result was a mess. I am now going to watch Jane the virgin! I'm so glad I came across your blog. I've actually been so confused as to what brow gel to purchase. I initially was going to buy the Benefit Gimme Brow but now that I know that the Maybelline Browdrama works, I can purchase it since it is a cheaper option. Who doesn't love a good budget buy?